There are a number of startups trying to change the way passengers get around urban environments. Most notably, companies like Uber and Lyft have drastically increased the ease of hiring a car to take them where they need to go, while also lowering the cost. But there’s only so much those companies can do in reducing costs due to the limited number of seats in each car. Boston-based Bridj thinks it can do better, by implementing a low-cost alternative to those options. Rather than launching another single ride-hailing service, the company is building a series of dynamically generated bus routes. To aid in that quest, Bridj has raised $4 million in funding and made a big new hire: former Chicago and DC transit head Gabe Klein. Bridj hopes to build a dynamic urban transportation system, designed to more efficiently shuttle people from their homes to work and back again. 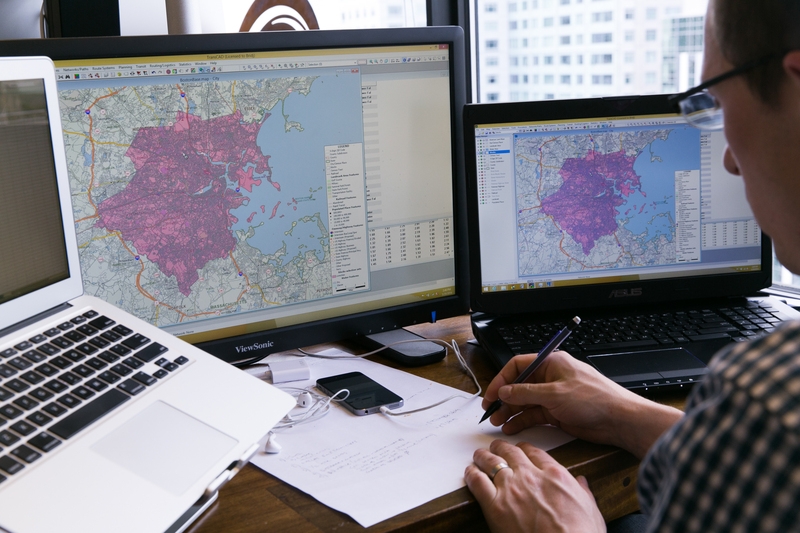 The company takes into account multiple data points related to when and where people travel to and from, creating a living, breathing logistics map for the city. With all that information, Bridj believes it can reduce the time, cost, and hassle of commuting. For the past several months, the company has been testing out that theory in Boston, where it has built up a series of pop-up minibus routes. Some routes run several times a day, while others only appear twice a day. But for the most part, routes are determined based on customer demand, daily changes in traffic, and several other factors. From a user point of view, customers sign up, identify their origin and destination points, and then Bridj tells them where to go to meet one of its minibuses. Rather than use the same static routes as your usual city bus routes, Bridj dynamically designs routes that aggregate commuter pickups where demand is highest. That leads to sub-10 minute wait times, as well as much faster commutes than its passengers are used to. According to founder and CEO Matthew George, Bridj routes can cut commute times in half, with 20-minute rides compared to city transit routes that would typically take 45 minutes. It also generally picks up customers closer to their homes or businesses. As a result, Bridj is seeing huge demand, even while in beta. George tells me that typically, 70 percent of seats on its 15-passenger specialty vehicles and many routes are typically sold out. It’s looking to expand the number of vehicles it deploys and turn up more routes over time. To do that, it’s raised $4 million from a number of Boston-based investors who hope to help it get off the ground in that launch market. That includes Atlas Ventures, ZipCar investor Jill Preotle, NextView Ventures, Suffolk Equity, Freshtracks Capital. It’s also made a huge hire in Gabe Klein, who is joining the company as COO. Klein had previously served as the head of transportation departments in both Chicago and Washington, D.C., and as such is well-versed in the issues facing commuters in urban environments. He had been recruited by former D.C. Mayor Adrian Fenty, where he instituted bike sharing and introduced a new circular bus system. Later Rahm Emanuel brought him to Chicago to implement other transportation changes in that city. Now he’s attempting to change urban transportation as part of an early-stage startup. With Klein on board, Bridj will have some major operational smarts behind it. Perhaps more importantly, he can help the company when it inevitably faces pushback from local government and regulators in markets that it enters or expands in. Since he’s aware of the issues facing city transit departments and speaks their language, he can speak their language and show how a system like Bridj’s can benefit the market.